Virginia Tech A+D alumni, students, and faculty were among those recognized in the 2015 Awards for Excellence from the American Institute of Architects (AIA) Virginia. These awards celebrate recent projects that contribute to the built environment and are clear examples of thoughtful and engaging design. Award categories include Architecture, Contextual Design, Residential Design, Historic Preservation, and Interior Design. 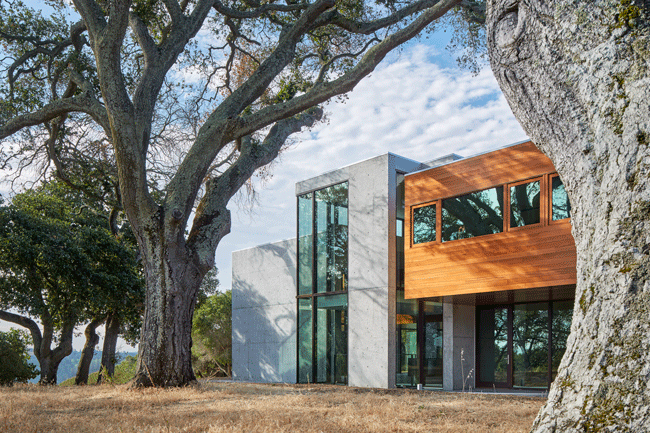 In the Architecture category, an Honor Award went to the Woodside Residence in Woodside, CA by David Jameson Architect, Inc. (David Jameson, FAIA, B.Arch. ‘90). 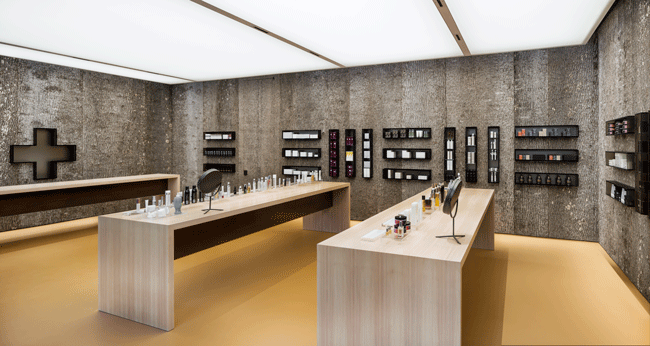 “The richness of its materials and textures contributes significantly to the overall character,” commented the jury. Also receiving an Honor Award in the Architecture category was the East Servery dining facility at Rice University in Houston, TX by Hanbury Evans Wright Vlattas + Company (Jane Wright, FAIA, President, B.Arch. ‘80; Nick Vlattas, AIA, Chief Operating Officer, Principal, B.Arch. ‘76). 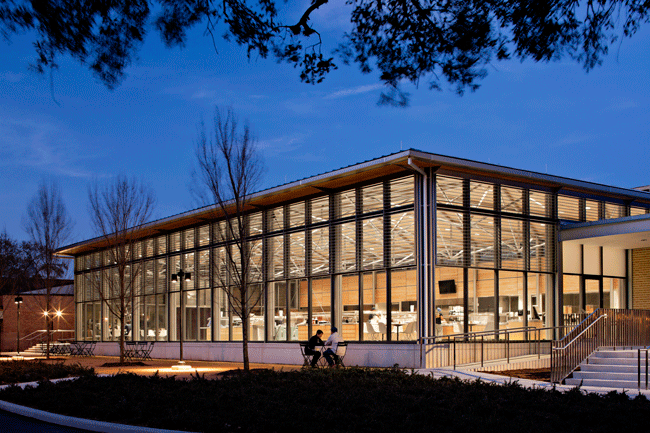 The jury stated, “This is a great ‘people space,’ beyond any expectations for an academic dining facility.” Receiving Architecture Merit Awards were the UNC Coastal Studies Institute Research and Education Building in Wanchese, NC by Clark Nexsen (Tom Winborne, AIA, CEO, B.Arch. ‘75; Don Kranbuehl, AIA, PE, Senior Project Architect, M.Arch. 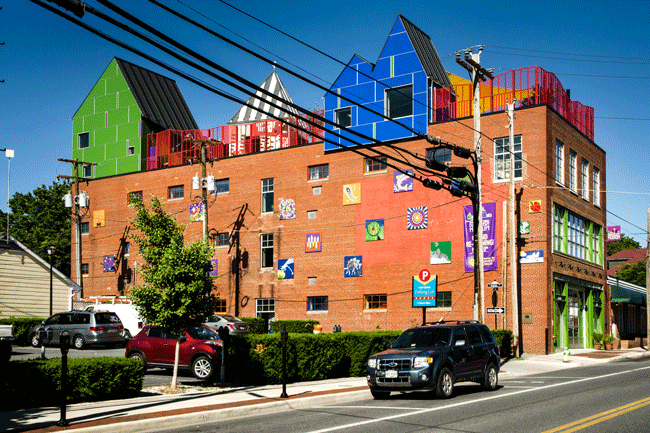 2000), La Casa Permanent Supportive Housing in Washington, DC by Studio Twenty Seven Architecture (John Burke, AIA, Principal, B.Arch. ‘85) and Leo A Daly JV (Stephen Wright, AIA, Managing Principal, B.Arch. 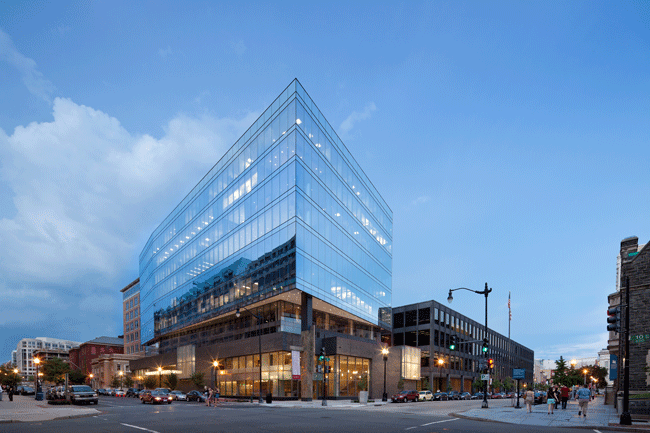 ‘79), and the 10th & G Street Offices and First Congregational United Church of Christ in Washington, D.C by Cunningham | Quill Architects, PLLC (Lee Quill, FAIA, Principal, B.Arch. ‘76). Architecture Honorable Mention recipients included the Shenandoah Valley Discovery Museum in Winchester, VA by Reader & Swartz Architects, P.C. (Beth Reader, FAIA, Principal, B.Arch. ‘86, and Chuck Swartz, AIA, Principal, B.Arch. ‘86). Also receiving an Honorable Mention in the Architecture category was the c u b e (shown above), designed and built by Virginia Tech graduate architecture thesis student Ryan Seavy and students in the ARCH 5565-66 Building Materials and Construction course. 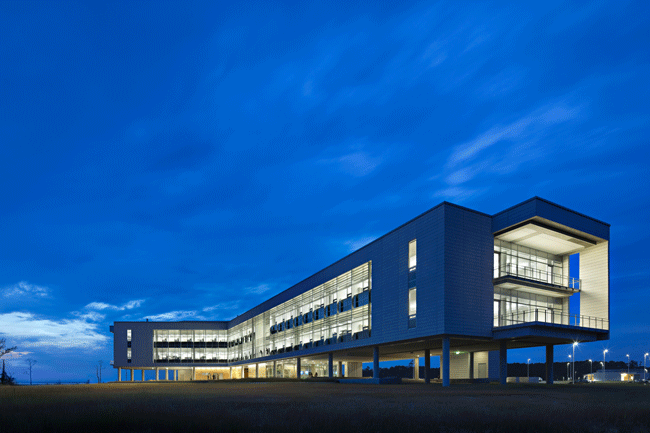 The c u b e is located at the College’s Research + Demonstration Facility. The adjacent CMU wall was designed and built by graduate thesis student Gabe Oliver. Faculty advisors included Profs. Patrick Doan, William Galloway, Frank Weiner, Steve Thompson, and Hunter Pittman. (More info. on project participants…) “This educational project is a very thoughtful exercise that reveals the possibilities and limitations of materials,” commented the jury. 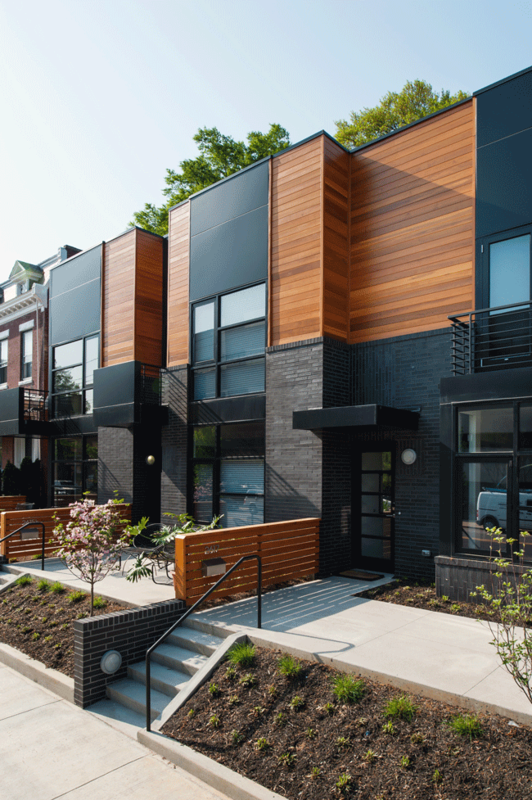 Receiving Merit Awards in the Contextual Design category was the Citizen 6 row house project in Richmond, VA by Burt Pinnock, Baskervill (Burt Pinnock, AIA, Principal, B.Arch. 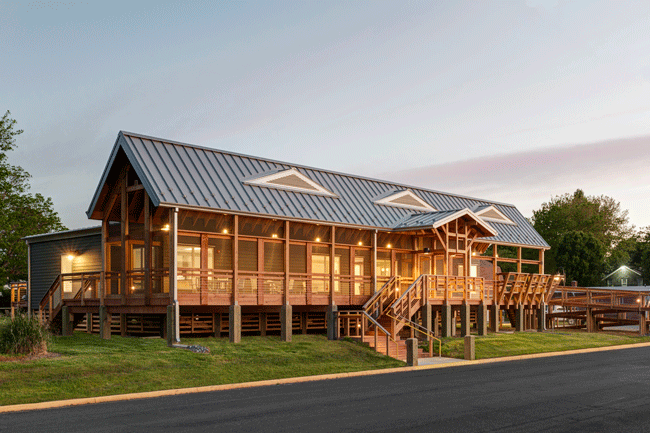 ‘93) and Seaside Hall, Virginia Institute of Marine Science, in Wachapreague, VA by VIA Design Architects, P.C. (Donna Phaneuf, AIA, President, B.Arch. ‘83). 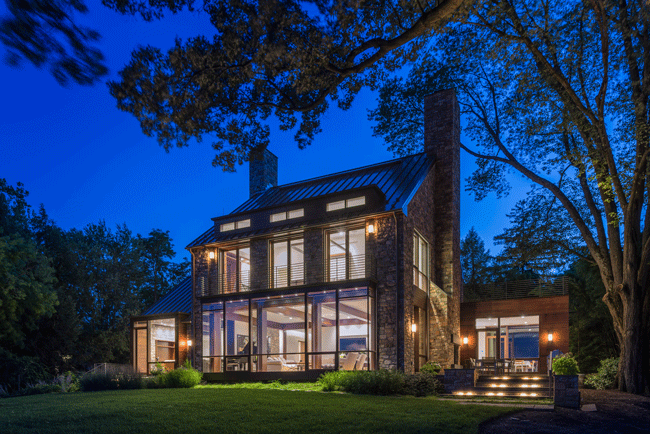 Receiving an Honor Award in the Residential Design category was the Alexandria Residence by cox graae + spack architects (Donald Gregory, AIA, Principal, B.Arch. ‘83). “This house is a somewhat daring combination of modern and historical that is skillfully handled to achieve a highly refined residence,” noted the jury. 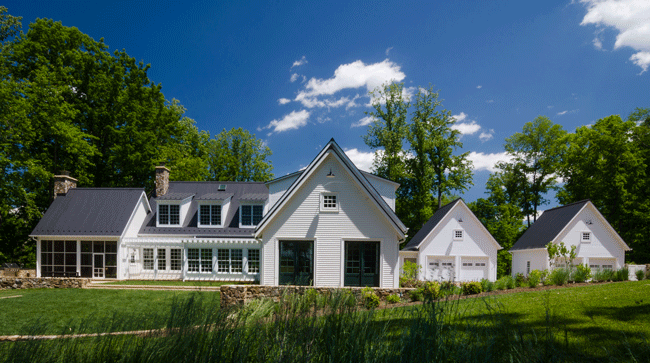 Receiving a Residential Design Merit Award was Orlean Americana in Marshall, VA by Reader & Swartz Architects, P.C. (Beth Reader, FAIA, Principal, B.Arch. ‘86, and Chuck Swartz, AIA, Principal, B.Arch. ‘86). 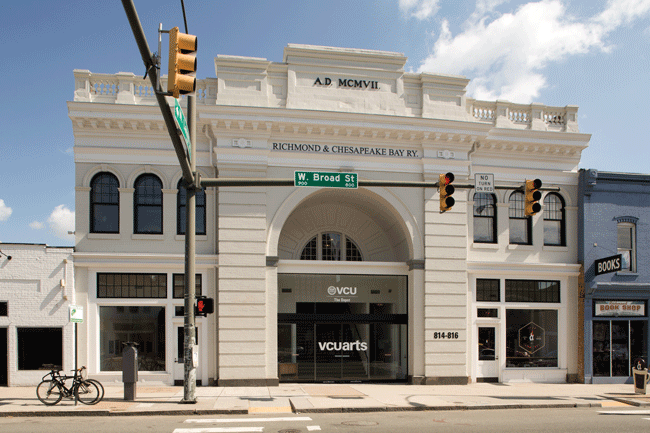 In the Historic Preservation category, the VCU Depot in Richmond, VA by Commonwealth Architects (Robert S. Mills, FAIA, President, M.Arch. ‘79) received an Honor Award. 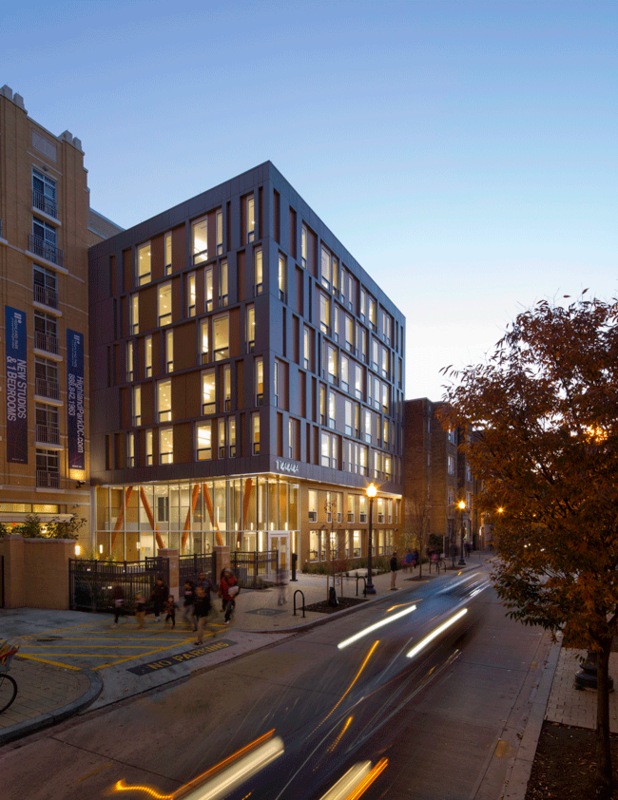 “Not only did the design team for VCU uncover a gem of a historic building that had been hidden from the public for decades, they also knit together several neighboring buildings to create a new school for the arts and a center for the community,” commented the jury. 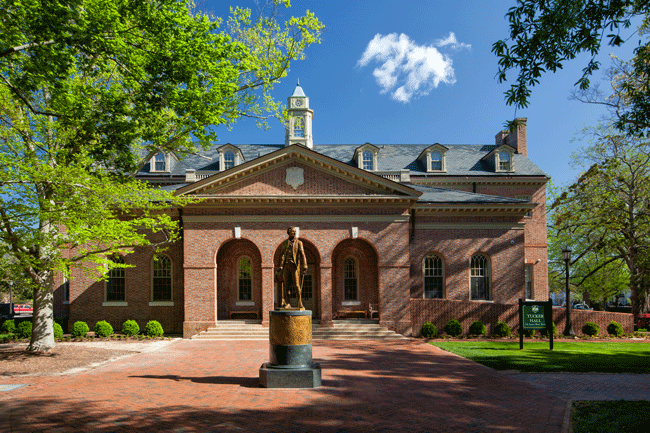 Tucker Hall in Williamsburg, VA by Cunningham | Quill Architects (Lee Quill, FAIA, Principal, B.Arch. ‘76) received a Historic Preservation Merit Award. 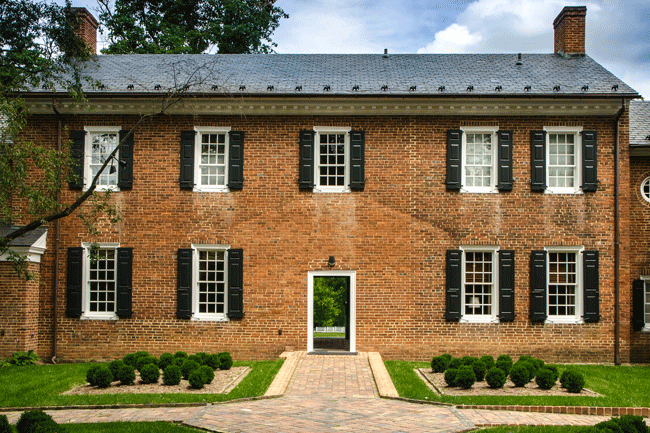 Receiving a Historic Preservation Honorable Mention was Glen Burnie Manor House in Winchester, VA by Reader & Swartz Architects, P.C. (Beth Reader, FAIA, Principal, B.Arch. ‘86, and Chuck Swartz, AIA, Principal, B.Arch. ‘86). The award-winning projects will be on display at the Branch Museum of Architecture and Design, Oct. 29, 2015 - Jan. 3, 2016.